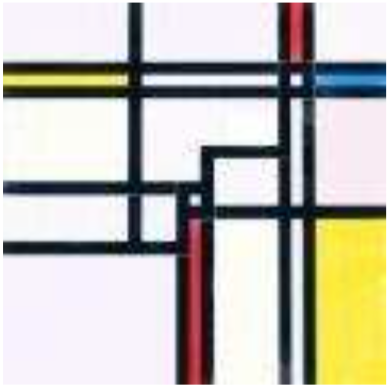 The great Dutch painter Piet Mondriaan (1872–1944) is considered one of the first modern painters. A major part of his compositions is divided in a couple of rectangular regions. Some of them are filled with a color, while the remaining ones are left white. Two (horizontally or vertically) adjacent regions don’t have the same color. White is not considered a color, so two adjacent regions can be both white. Once a painting is divided in regions, there are still a lot of different ways to fill these with colors. Mondriaan is wondering how many different ways there are for a given division. For the paintings we consider, this number will not exceed 106. Two regions that only touch at a corner point are not considered adjacent. One line with one positive number n with 1 ≤ n ≤ 100: the number of regions in the painting. For every test case in the input file, the output should contain a single number, on a single line: the number of ways the painting can be colored.